Finally, there’s a nip in the air in Dubai. It’s the season to meet friends and spread some holiday cheer. That means a lot of al fresco dining and spending time outdoors for us Dubai residents. This is also the time where people catch a cold pretty easily because the weather changes suddenly when we least expect it. But what happens to that house party invite that you have been looking forward to all week long? You think to your self, well, what am I going to drink while everyone else guzzles their chilled pints or their Sangrias? Well, this is a recipe for just that situation! Or any other situation where you may want to warm up a bit while still enjoy the holiday spirit (pun intended!). A hot toddy is a cocktail that is served hot (duh!) and warms you up from within while opening up your nasal passages. Well, maybe I am exaggerating about it opening up nasal passages, but try it and you’ll know how helpful it can be in a cold! Yes, so, because I like to do things a little extra sometimes (Okay, maybe all the times!) 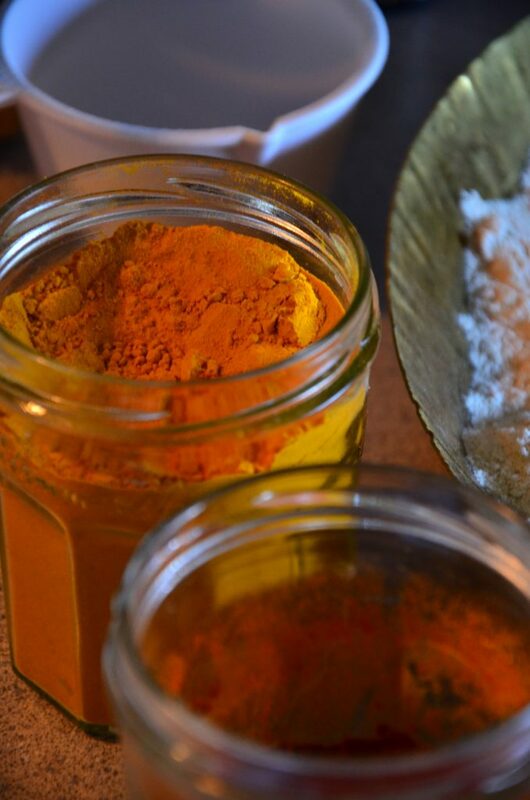 I use herbs and some spices to add more flavour and warmth to the drink. Cloves and cinnamon are my choice of spices that I think go perfectly here. You can use a star anise too. 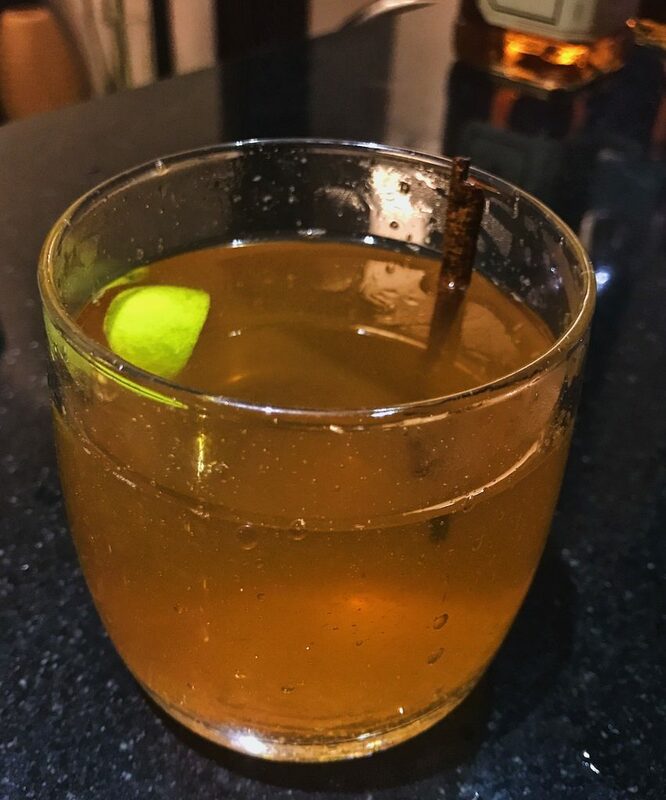 I have also made this recipe with some lemongrass stalks in the past, to add freshness and some complexity to this drink that already has a lot going on. But what shines through in the end is the lemon juice and the honey. So I think the version I’m sharing here is the better one. I like to use whisky, particularly a bourbon in this recipe. But you can also use brandy. Obviously, the choice of alcohol also lends to the taste of the resultant drink. Like I said, a hot toddy can be of many different types. The bourbon that I think goes really well here is a Jack Daniels Tennessee Honey. It is a honey and whisky based liqueur that has a rich sweet flavour and it tastes great in a warm cocktail. But you could use some other bourbon too. I have also tried making this with just a regular Jack Daniels Tennessee and also with a Captain Morgan Spiced Dark Rum. People also swear by the benefits of Brandy in cold weather and as a remedy for colds but I haven’t tried that yet. In case you do make this with Brandy, do tell me about it in the comments below. Don’t have rum, bourbon or brandy in your bar? Don’t worry as scotch whisky would work too! In case you prefer wine as a drink to warm up in the cold weather, Kanika has a great mulled wine recipe that you must check out! If you are taking medicines for your cold and are not allowed to have alcohol, you could still make a hot toddy by skipping on the alcohol. I usually don’t take any medicines for a cold and instead take a lot of fluids in the form of water, soups, rasam, green tea and of course good old adrak chai (ginger tea). But even then, I usually do keep alcohol to a minimum. You could, of course make the drink a bit stronger according to your preference. So let’s get started on making this perfect hot drink for the holiday season. You will also need a heat- resistant glass or any mug. Start by boiling the water. Once the water is boiling, take off heat. Pour a small amount of water in the heat resistant glass or mug that you will use for the drink to heat the glass. You can move around the hot water carefully and then throw it once the glass is warm. Meanwhile, throw in the tea bag or loose black tea in the rest of the hot water. Steep for 2 minutes. Back in the mug, pour honey, whisky and lime juice and mix well with a wooden spoon. 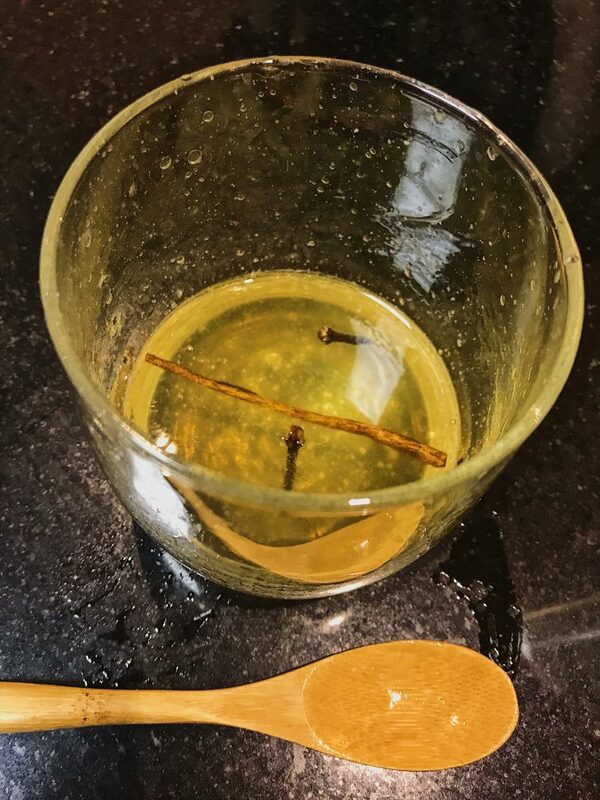 Place a cinnamon stick, cloves and star anise in the glass. Discard the tea bag from the hot water and pour the tea in the glass. If you are using loose tea, use a strainer to pour the tea. Mix the contents of the glass well. I would recommend tasting the drink with a spoon so that you can adjust the amount of honey and lime juice according to your liking. 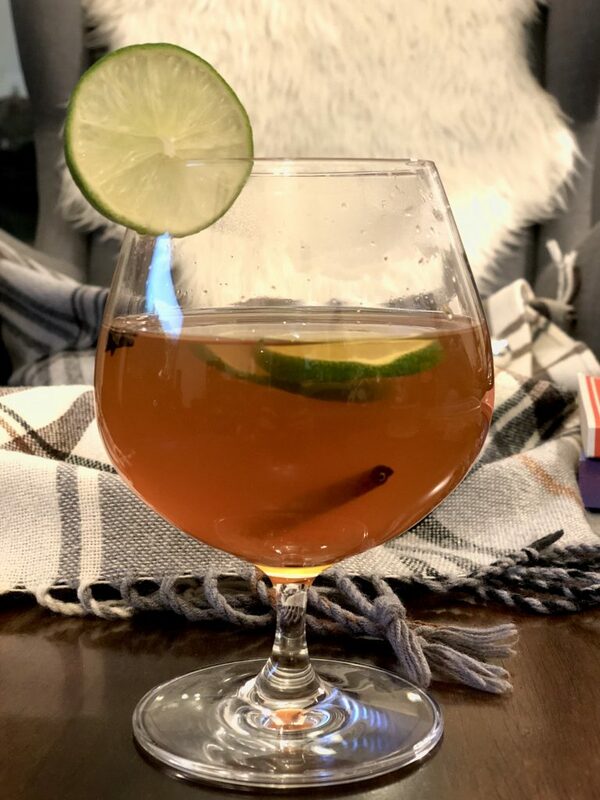 Serve this refreshing Hot Toddy warm and enjoy as the winter blues melt away! Hot Toddy is ready to be sipped! 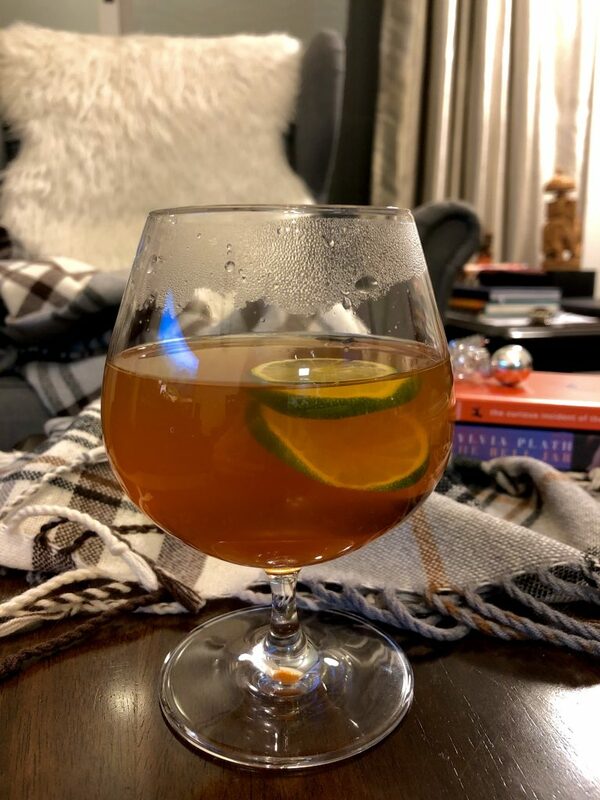 A versatile cocktail for the cold weather and for treating colds. It can be made using bourbon, scotch, rum or brandy and is the perfect drink for when you want to warm up. Swishing your glass or mug with hot water helps to keep warm it up so that a cold mug or glass doesn't cool the drink faster. In a way, this step helps to keep your drink warm for longer.